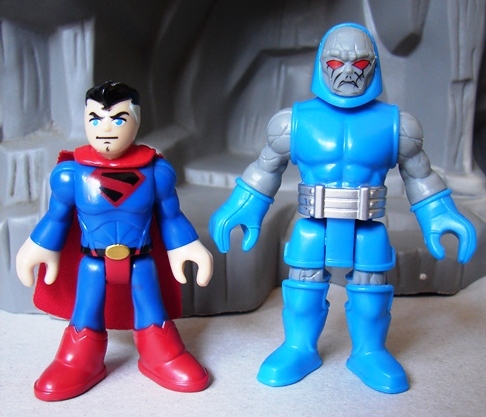 A recent trip to Wal-Mart yielded the Imaginext Darkseid/Parademon two pack and the DC Blind Bag Series 2 Kingdom Come Superman! 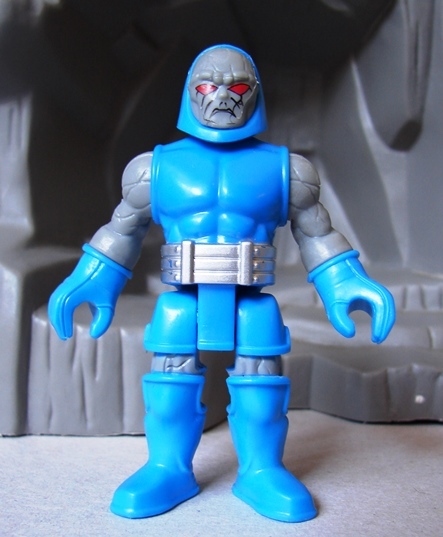 This new Darkseid release from Imaginext is their second Darkseid release and far superior to their first. 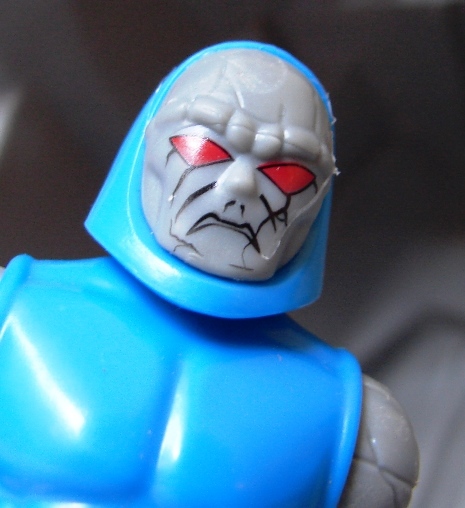 Not only is the new release based on Darkseid's classic look (while the first release was based on the less awesome New 52 Darkseid design) but for reasons unknown to anyone who has ever read a DC comic book, their original Darkseid release was a bit on the Smallseid. 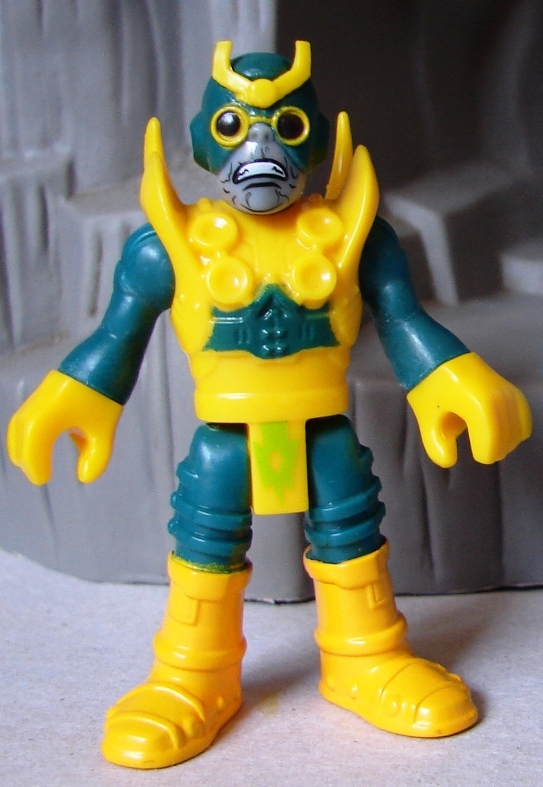 In fact, I hated this guy so much based on scale alone that I completely dodged him at retail, and only own him because I found him for fifty cents at the flea market. 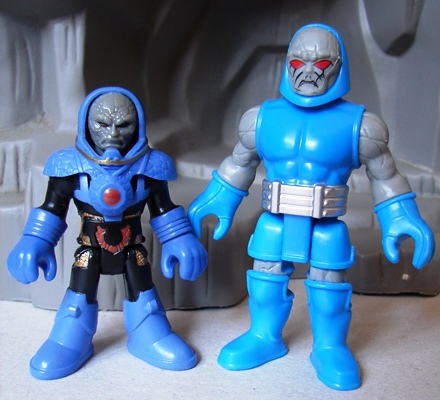 The new Darkseid is both classically designed and slightly oversized, which makes him formidable without being overly large. 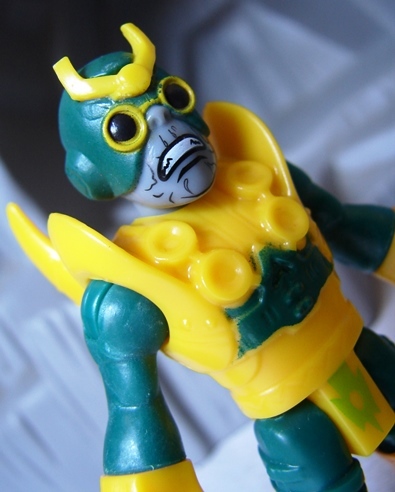 The Parademon (called merely a 'minion' on the Imaginext packaging; perhaps ParaDEMONS aren't kosher kid toy fodder?) 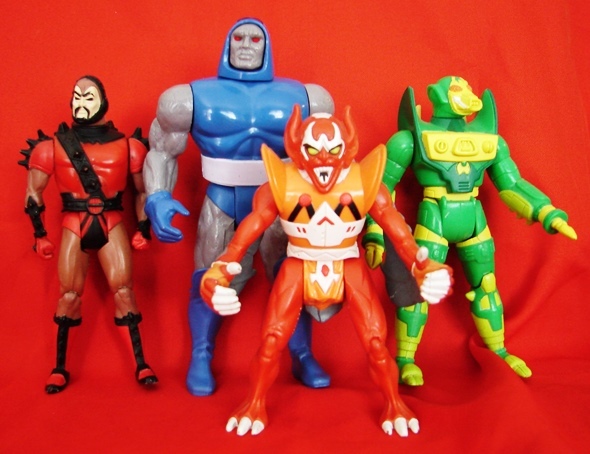 is also classically designed, based on his classic comic book appearances and not on the modern comics or movies. Sadly the quality control on this set is pretty low, I saw multiple sets with extremely shoddy paint apps on the Parademon before I finally nabbed this set. And even this one, the best I've seen, has major over-spray paint issues. That said, he's a Parademon and ideally I'd like a handful of these army builders, so I'm ok with an imperfect version now in the hopes that I get a few more in the future. Kingdom Come Superman is part of the DC Blind Bag Series 2 wave. The first wave was Batman-centric and has been hard to find in the US (mostly being found in K-Marts and Barnes and Nobles) while Series 2 has had a wider release (I've seen them at both Wal-Mart and Target.) 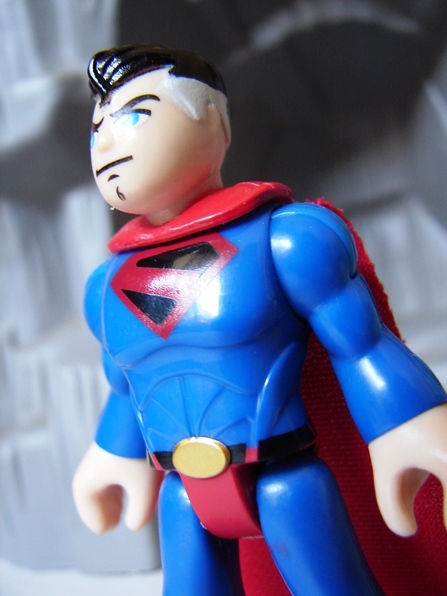 At first I didn't think I needed another Imaginext Superman, but the Kingdom Come 'S' symbol coupled with the grey hair makes this one a must have! 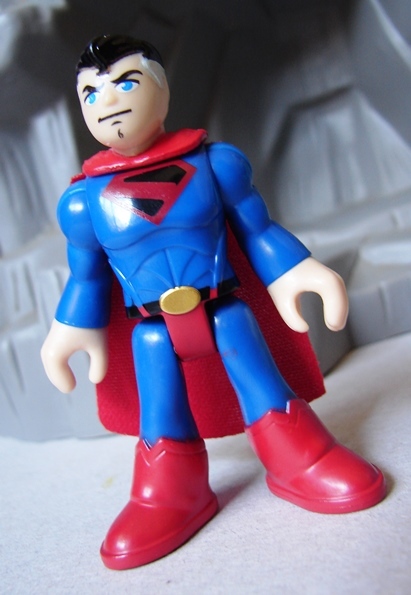 He's now my 'go-to' Imaginext Superman, replacing the battle damaged Superman that came with Doomsday. 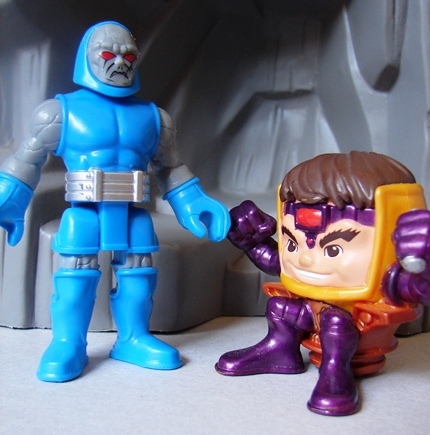 As usual., Imaginext has an embossed number on the back of their blind bags, taking the guess(squeeze) work out of finding the figure you want. There was only one other in wave 2 that I couldn't live without, to be posted about later! "What the hell are you supposed to be?" Wow! Didnt know they made blindbags with DC figures in them! The first wave has been tough to find in the US but reports are that they are all over the place in the UK and Canada, so you may be able to find them easily. Second wave is pretty plentiful in the US, not sure how it's been distributed elsewhere. And a third wave has been announced which includes characters like Vixen, Hawkgirl's and Mr. Miracle! Must have that Kingdom Come Superman! Are you done? I haven't seen any activity in a while. Sad if you so. Thanks for a good run! Maybe just a long hiatus. I haven't decided yet. But thanks for the kind words!